NOTE: Internet Explorer 9 or greater only. Your digital certificate can be used when you check your University e-mail with OWA instead of the Outlook client. To sign your e-mail in OWA, you must install the certificate in Internet Explorer on each computer from which you intend to access OWA. NOTE: Never install your digital certificate on public access computers or on any computer not controlled by you. Once you've received your digital certificate and incorporated it into Internet Explorer, you can use it to electronically sign your e-mail. Follow these instructions to import your digital signature into OWA. Click the “Options” button in the upper-right-hand corner under your name. In the “Options” pull-down menu, click “See All Options ...”. 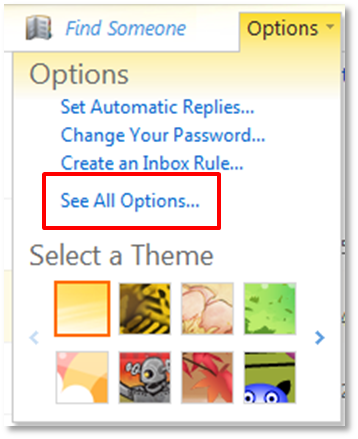 Under “Mail > Options”, select “Settings” . 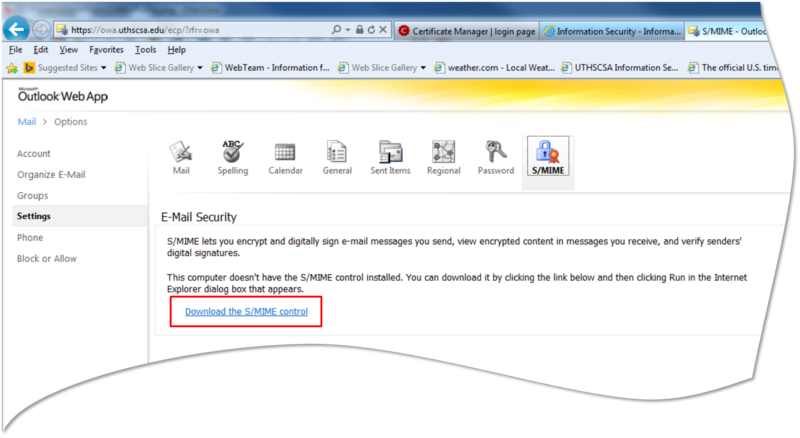 When “E-mail Security” appears, click the “ Download the S/MIME control” link. When the window appears at the bottom of the browser asking “Do you want to run or save owasmime.msi from owa.uthscsa.edu?”, click the “Run” button. The “Microsoft S/MIME” window will appear as the control installs and configures your browser. Depending on the speed of your computer, this may take a few minutes. A window may appear at the bottom of the browser stating an add-on wants to run. If so, click “Allow to confirm. When the options window re-appears, click the checkbox next to “Add a digital signature to all messages I send”. 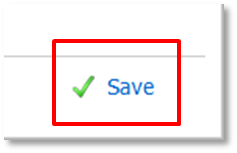 Your digital certificate is now configured for OWA; click “Save” in the lower-right-hand corner of the browser to save your settings. Click “Mail” in the upper-left-hand corner to return to your inbox. Now, all new messages, replies, or forwards will be signed with your digital certificate. This is indicated by the highlighted icon at the top of your message window. Log in to OWA with your University credentials. 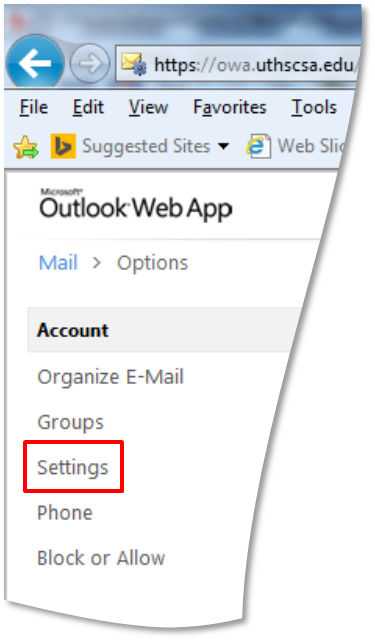 Under “Mail > Options”, select “Settings”.